Missionaries are often able to serve because of the generosity of financial partners, but rates of missionary burnout/attrition suggest that missionaries may need more than financial support alone. I recently returned from seven months of missionary service in the Solomon Islands, which can be an incredibly isolated geographical region. For more than three months I was isolated culturally and linguistically; I could count on one hand the number of minutes I spoke with a fellow native-English speaker. Now that my wife Kyria and I are itinerating, we’ve had some opportunities to connect with some of our supporters who have an intuitive understanding of how to provide support to missionaries beyond opening up their wallets. The following are some ideas for how to support missionaries both on and off the field. 1. Read, pray through, and respond to your missionary’s prayer requests.We serve only by God’s power working in us. While I was in the Solomon Islands I felt the prayers of God’s people on my behalf. This was most noticeable in terms of my health and safety. Apart from a bad case of tonsillitis, I was as healthy or healthier than I often am while at home in the States. When I was sick, I sent out prayer requests to supporters. Their words of encouragement were helpful to me emotionally, and I quickly recovered from the sickness. 2. Read and respond to their newsletters. Many of us are inundated with media and our inboxes are filled to the rafters, but for Kyria and me, when supporters read our newsletters and write back to us about them, we feel encouraged and listened to. 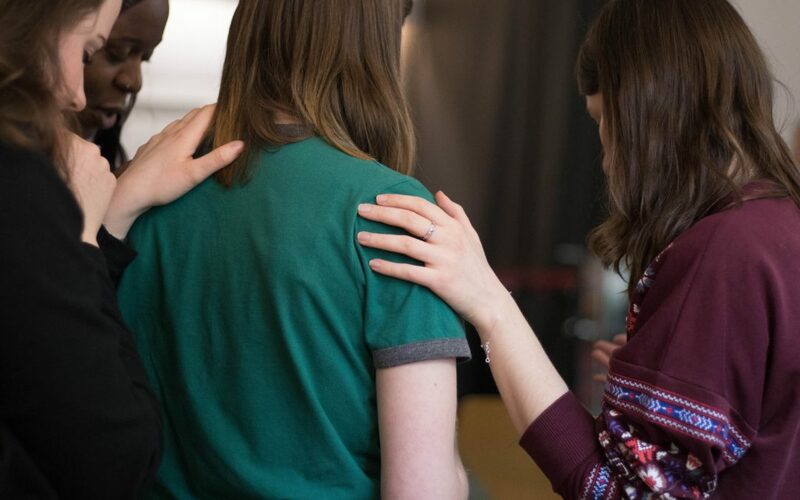 Sometimes a simple, “I read your newsletter,” “Good to hear from you,” or “we are praying for [insert something mentioned in the newsletter],” can really help us to feel listened to. Even a one liner lets us know that someone out there is reading our newsletters—which take a lot of time and effort to put together! 3. Act as a liaison between a missionary and your church. Pastors and priests these days have a lot of work on their plates. 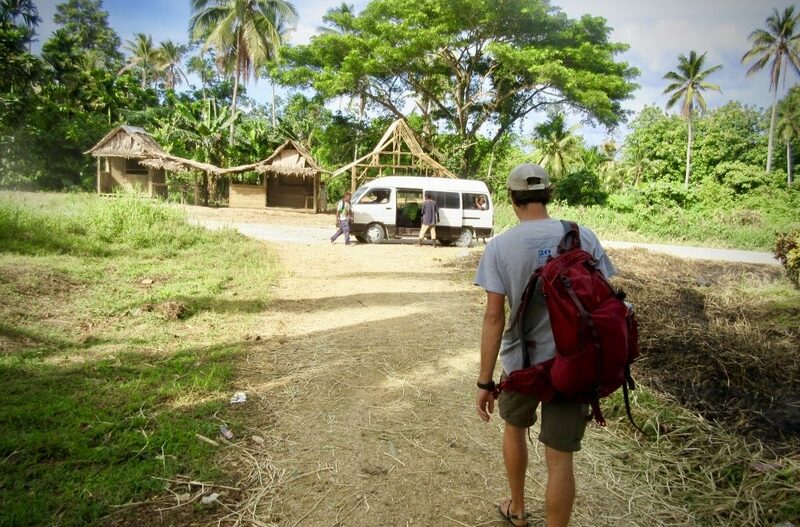 While itinerating, communicating with churches can be a real challenge. Sometimes a lay leader within a church is better equipped to connect missionaries than their rector. Having a point of contact with a new (or existing) congregation can really save a missionary a lot of stress (besides a lot of phone calls). Offer to “put in a good word” to a busy rector on behalf of a missionary or consider organizing a weekend for them to visit your church. This should all be done, of course, by utilizing the existing channels and structure of the local church. Often a member of a local congregation has a better feel for the existing system than a missionary on the outside. 4. Host a gathering of your friends who might be interested in supporting a missionary (again, either financially or by other means). Visiting churches is not always the easiest way to connect with people. Sometimes an informal meal at someone’s house can be a more intimate way of sharing about the work God has called us to. These kinds of informal gatherings have allowed Kyria and me to share more openly about some of the challenges and privileges of missionary work. These kinds of meals are often less constrained by time than more formal events at churches, and they tend to feel a lot more personal. 5. Send missionaries handwritten letters and care-packages. It may seem old fashioned, but it was a real encouragement whenever I received STAMPED MAIL in the Solomon Islands. I received some hand-written cards for Christmas (sent months in advance) as well as some hand-written letters. Stops at the post-office were frequently routine; I wasn’t expecting to get anything. What a joy to head into town (an all-day, and often STRESSFUL process) and to discover a treasure waiting for me at the local post-office. Once I even received coffee, candy, and hot sauce! One caveat to this—it is best to know the situation a missionary is in before sending them a package. Some countries and contexts make receiving a package more of a hassle than it is worth; sometimes missionaries have to pay import fees, cash-on-delivery, or they may not have vehicles to carry packages home. 6. When they come home, help missionaries to enjoy recreation. This past week Kyria and I spent some time with dear friends (and great supporters) in Colorado. They forced us (tongue-in-cheek) to visit the local chocolate shop and hot springs. They were happy to share some of the local attractions, and we were happy to take a break from our usual work, which is not always easy for us. Many missionaries are driven, sometimes to a fault. Depending on the field they serve in, missionaries may or may not have much time for recreation, it may be complicated by cross-cultural pressures, or, in some situations, it may be non-existent. This makes recreation time back in our home culture much more important! In August of 2017 I began a seven-month missionary assignment in the Solomon Islands. At the time I had very little idea of what exactly it was that I would be doing. I wrote a blog about that ambiguity before I left. I completed my assignment in late February and returned to the US. As I begin reporting back to churches and individual supporters, I have found that it is far easier to share what I did in retrospect than it was to speculate about what it was I would be doing. There is probably a lesson or two to be learned there, but I am happy now to share some of what I was involved in. 1. 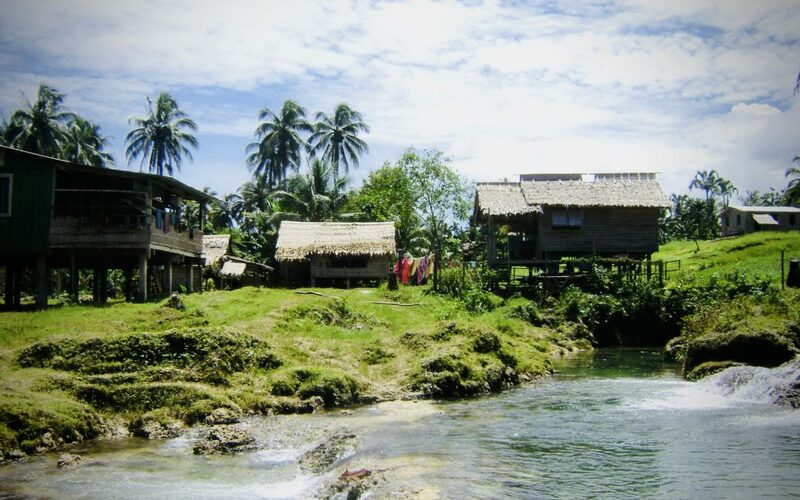 I lived among the people of Malaita, especially at Trinity School for Theology and Ministry. I was an active member of the Airahu community. I was involved in the religious, social, and physical life of that community. I sweated in the gardens around the community, I hauled water for bathing, cooking, and drinking, and I ate local food. I attended daily prayer services in the Anglican tradition as well as faculty meetings and social events. I traveled by foot or by the same public transportation as other community members, and I ate the same local foods as they did, which I purchased at the same local markets. 2. I tasted many new local foods (coconut crab, reef fish, cassava pudding, “milked” vegetables or bananas) and enjoyed some familiar favorites (fresh pineapple, bananas, taro, yellow fin tuna, roasted pig, local chicken). I drank fresh coconut water and was refreshed by rainwater, crystal clear rivers, and the occasional swim in the ocean. 3. I taught Christian doctrine concerning the nature of humanity, and human’s relationship to God and to creation. I also preached in local churches. In return, I was taught many things about local language and culture. I learned about many local customs and traditions from friends and acquaintances whom I met. I attended a “Kostom” wedding and heard traditional local music. I learned a few phrases in various local languages and became conversational in Melanesian Pijin. 4. I listened to stories and shared some of my own. Sharing stories—humorous, tragic, or interesting—is the favorite form of entertainment on Malaita. After a meal, betelnut was passed around, and stories were shared late into the night. Sometimes in the afternoon, over a cup of hot tea, more stories were shared. 5. I shared life with my Melanesian host family as well as my missionary colleagues. I shared in the daily chores with these two families—cooking, cleaning, even changing a few diapers. I also prayed and worshiped with them in their local Christian expressions. Our lives, I believe, were a mutual encouragement to one another. Nearly three months ago I returned to the US to transition into the next stage of my career. I will elaborate on “what’s next” in my next blog entry. I look back at my time in the Solomon Islands with gratitude. I am thankful for the opportunities I had to learn and to teach. I am thankful for the loving hospitality that was lavishly offered to me. I am thankful for God’s protection and provision and for the many ways God seems to have confirmed my gifts and calling to serve the Church as a missionary. I am also thankful for your prayers. Thanks for sending me to the Solomon Islands! 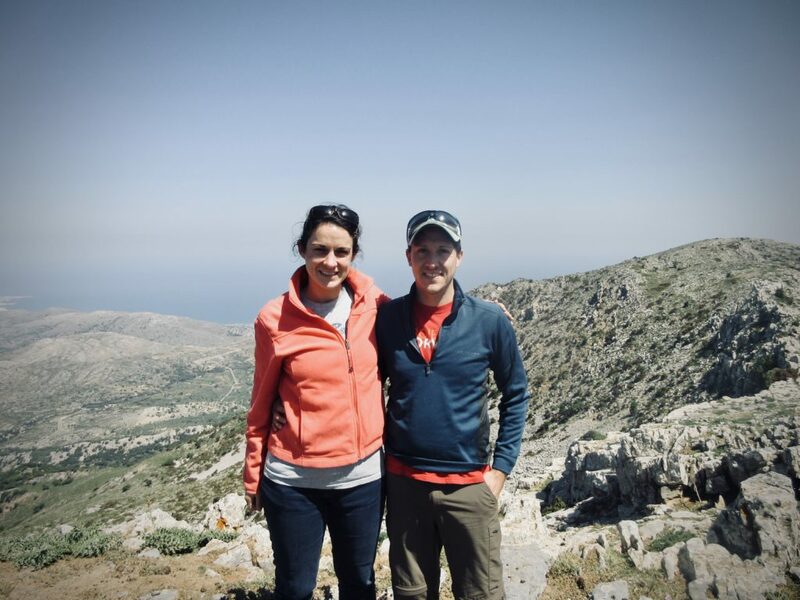 Please continue to pray for Jonathan and Tess Hicks as they return to the USA for furlough this year! If you ran out of food at your house today, chances are you’d hop in your car, or walk down the street, to the nearest grocery or convenience store, pay some money and come home with enough food to feed your family. Otherwise you might order a pizza or go out to eat at a restaurant. But what would you do if the grocery stores and restaurants were closed, or, as is the case in many places in Malaita, the stores were too far away to walk to or drive to? 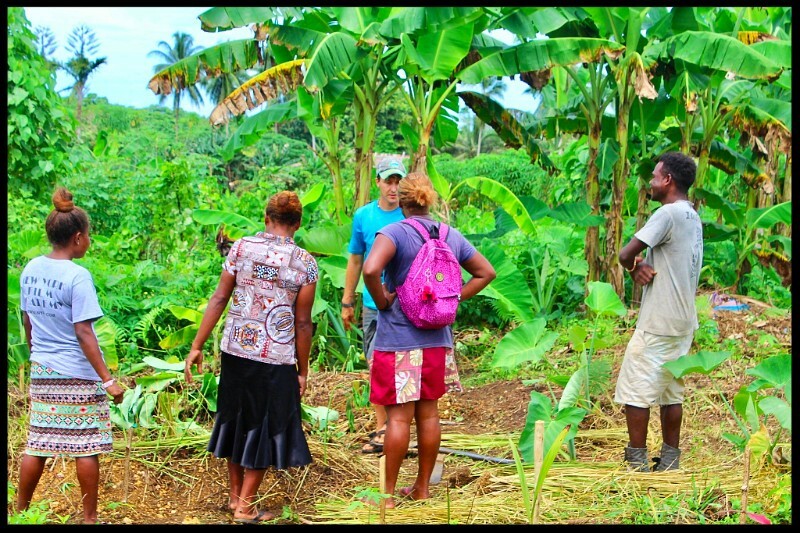 In many of the villages in Malaita, especially in the East and the South where there is little road access, families must eat what they can hunt, gather, and grow. Fortunately, the natural ecology of Malaita provides a smorgasbord of well adapted species of plants and animals that are suitable for human consumption—many of which grow and run wild! 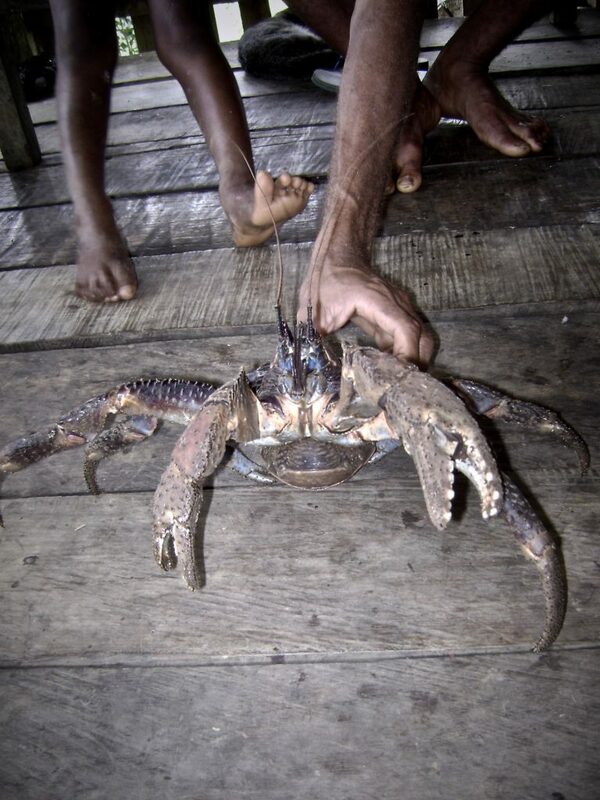 In this picture my new friend is showing me an amazing creature—the coconut crab! Coconut crabs receive their name from their main source of food—coconuts. The crab has strong pincers both fore and aft allowing it to husk and crack open the coconut’s shell. Coconuts can be cut in half and set out as bait to catch the crabs in the middle of a tasty lunch. 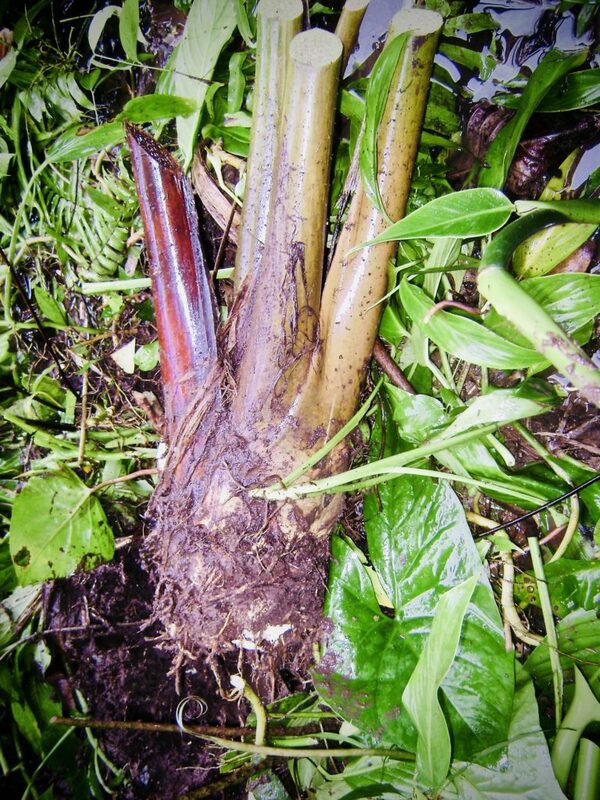 Another wild food that grows in many places is swamp taro, or kakama in the local language. 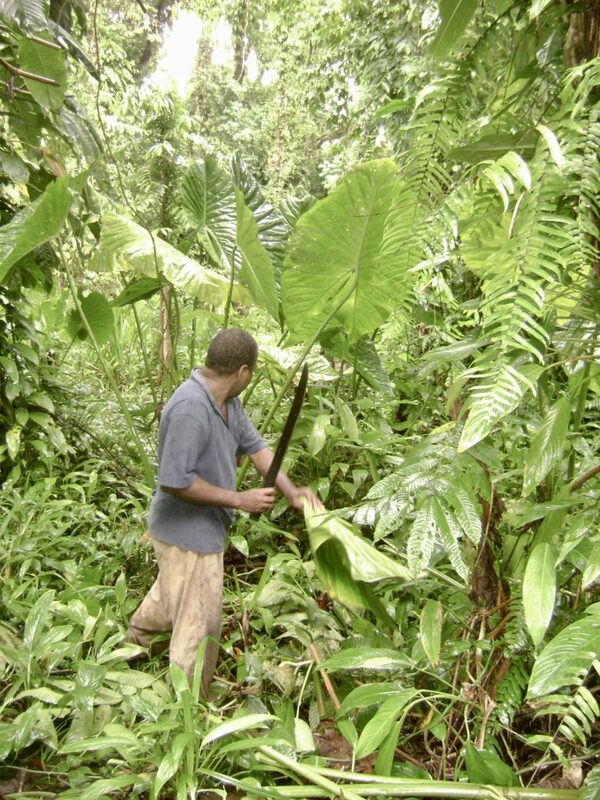 Kakama is an “emergency” or “poverty” food that is planted as an insurance crop. It is planted in swampy land not suitable for other forms of cultivation. Once planted, it requires no maintenance and can keep for over ten years. Kakama is not an everyday food, but is often harvested for inquisitive guests (such as myself) and is always available in the event of calamity, thus making it a staple for basic food security in the Solomon Islands. Growing up in the United States it was easy for me to take for granted clean, fresh water from the tap. My family has a spring on our property, but even beyond that, freshwater in the US is typically as close as the nearest sink and faucet. The average American household is equipped with a water pump to automatically fill up the toilet, the hot water tank, the washing machine, even our refrigerators! 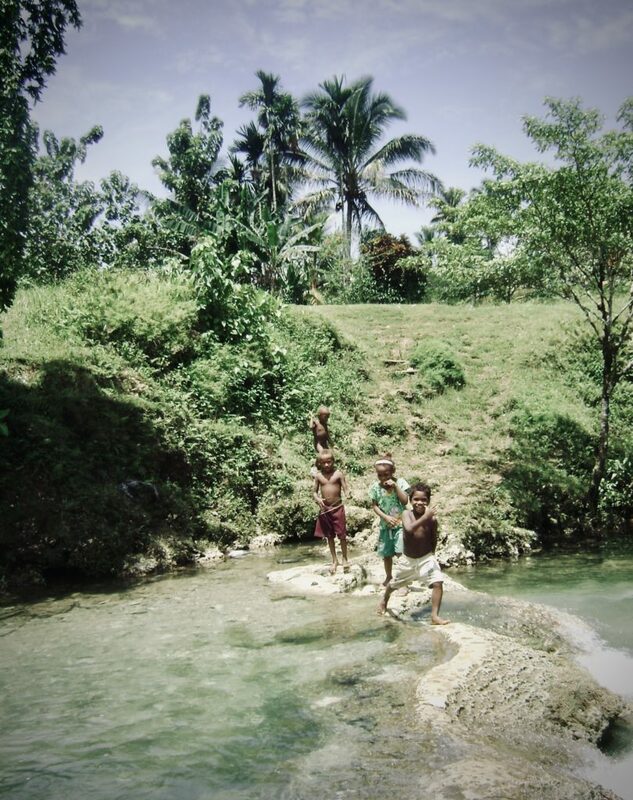 Water in the Solomon Islands is a different story altogether, especially in the village. The picture featured above shows part of the quaint village Lololo along with the primary water source that runs through it, the Lololo River. In the village, the river is a fundamental component of daily life. It is used for drinking and cooking water, and washing clothes and dishes. It is also used for personal hygiene and even for entertainment–the children love to swim! The river—downstream from drinking, washing, and recreation areas—carries human waste away to the mangroves where it is filtered before it reaches the ocean. In short, a day does not go by in which the river is not used for the flourishing of village life.